For the past four years, I have lived and loved in West End - so I'm new enough to the city to remember how confusing it was, and old enough to be able to pass on what I've learned about this amazing city. One of the first issues we ran into when we moved to Brisbane from overseas was the fact that the supermarkets all have strange names here. And even stranger opening hours. Not to mention that supermarkets here just don't stock the range of products we were used to. For example, when we arrived we had a few suitcases, no cups, saucers, spoons, plates (no food either, of course). So off we went to find a supermarket – because, where we came from, that's where you bought these things. This was on a Saturday evening, so as any self-respecting Brisbanite will appreciate, our shopping trip was less than successful. 1 What are supermarkets called? 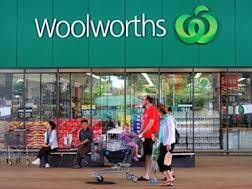 First, the main supermarkets are Coles and Woolworths, with IGA and ALDI rounding out the big stores. There is also Foodworks, DRAKE, many Asian grocers, health-food stores and others, but this article is about the big four mainstream supermarkets. Now that you know what you're looking for, things get easier. The very first thing we noticed about supermarkets in Brisbane was that many of them are small. So small, in fact, that some of them can be hidden away in what looks like apartment buildings. No giant parking lot out front advertised its presence, no super shopping mall to draw you in, just a simple sign on the building. Our local Coles is like this, on the ground floor of a block of flats. But once we knew of its existence, we found it time and again, no trouble at all. This is not to say that all supermarkets are small in Brisbane. Many of them are giant affairs, prominently situated in even giant-er shopping malls. But don't be fooled. Most are smallish and well hidden. On the other hand, the IGA store just down the road (also with no car park at all, and snuggled into an apartment block ground floor also) has far more generous opening hours. Here one can shop from 6am to 10pm, seven days. Aah, what luxury. But their range of goods on offer is severely restricted, and their prices aren't quite as sharp as the big two. To be expected, I guess. 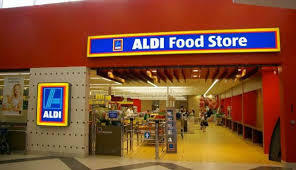 Lest I be accused of being out of date, Brisbane supermarkets have started joining the 21st century, with the larger mall-based stores now opening 24 hours/day, and selling a wider range of products, not just groceries and fresh produce. ALDI is a bit different. First, although their opening hours are just as confusing as the big two (opening between 8.30am and 9am depending on the day, and closing anywhere between 5.30pm and 9pm also depending on the day), their stores offer something unique in Brisbane supermarket land. They (like the others) have fruit and veg areas (often to a higher quality), general groceries, frozen stuff and so on, but they all have a central aisle crammed with weekly specials which are refreshed every Wednesday. No two weeks are ever the same. Bargains galore! Prices Slashed! But browse at your peril, because you will buy that handy set of screwdrivers you don't really need, or an electrical gadget, or a set of place-mats, because the quality is outstanding and the prices are really keen. You have been warned. 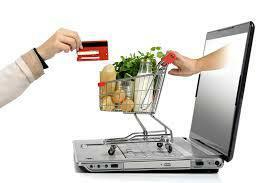 Brisbane Coles, Woolies and some IGA stores now offer online shopping. The way this works (generally speaking) is that you go to their web site, access their catalogue, and select your items. You can then either choose to collect your trolley personally (they will stock it for free), or have it delivered (for an extra charge, of course). Coles requires you to purchase at least $50 worth of goods, but the first delivery is free as are all deliveries on Wednesdays if you spend more than $100. Woolies offer the first three deliveries free, but then charge you a minimum of $11 per delivery thereafter. IGA details were less clear at time of going to press (Jan 2015). So it is definitely a matter of swings and roundabouts. Yes, online shopping is alive and well in Brissie, but it's not for the faint-hearted or thin-walleted, and the terms and conditions change constantly as Coles and Woolies jockey for position. Check out here and here for details. Now we're talking. With smartphones becoming an almost universal personal accessory, it was only a matter of time before the supermarkets came out with an app that allows you to receive targeted special offers, create your own shopping lists, and includes other neat stuff like a built in calculator to work out how much you are saving, and so on. 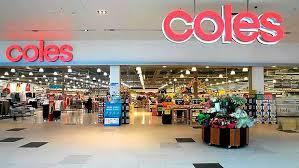 Coles, Woolies and IGA offer loyalty cards. Coles has Flybuys, Woolies has Everyday Rewards and IGA has MyIGACard. Is there a difference? Yeah, sure, but not a lot. 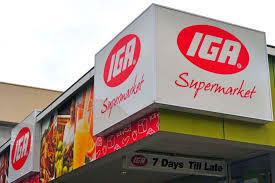 My advice is if your local is an IGA, get an IGA card. If it's a Woolies, get one of their cards. The last thing you want is to clutter up your wallet real-estate with loyalty cards you never use. But feel free. The cards are. You can use Flybuys points to get cash-back on purchases (cool), actual cash (even cooler) as well as redeem products on their list. Use to get airfare discounts, member discounts, special offers and fuel discounts. Finally – where's the booze? Sadly, Brisbane supermarkets don't sell beer, wine or spirits, unlike supermarkets you might be used to back home. All is not lost, because in a large majority of cases, one of the major bottle shops can be found at or near the entrance of most supermarkets. But don't forget the stingy opening hours of most supermarkets – they apply to the bottle shops also. Why? Where are the supermarkets? This article states my sentiments exactly. I have lived in Brisbane for 7 years, and I am still unable to find what I would normally expect in supermarkets of other countries.. It took me years to realize it simply wasn't going to happen. It's probably helpful for newcomers to know that right away! Inner-city supermarkets are always small, there's no way West End could deal with the traffic of a Westfield. But you're right about the opening hours - particularly for those living and working in the city.